We are an innovative preventive, integrative, holistic healthcare practice serving Northeastern Ohio. We take into consideration care of the whole patient through transformative care as unique as you. We invite you to experience the best your body has to offer through optimal health. Come and visit us today! Why Matcha? This ceremonial green tea comes from the careful harvesting methods of the finest leaves grown in Uji, Japan. Due to the growing and harvesting according to the age-old tradition and ceremony, Matcha is green tea, MAGNIFIED! 120 Capsules Vegan/non-GMO/Raw Why Maca? Indigenous healers indicate it enhances your ability to excel at mental and physical tasks. It does so, in part, by supporting healthful hormonal balance and wellbeing. Lipothiamine is a scientifically food supplement and represents the most biologically active form of Vitamin B1. Two convenient locations to better serve you, Willoughby Hills and Westlake Ohio. Our Doctors specialize in the very best of preventive, integrative, and complementary healthcare. We offer a complete line of physician-vetted, high-quality supplements. Our Doctors specialize in the very best of preventive, integrative, holistic healthcare. Our mission is to welcome all and promote a caring environment for transformational, holistic healing of people and planet. Our vision is to create a community where the standard is understanding nature’s model for holistic health. Our philosophy is to restore natural physiology through appropriate therapies while monitoring evidence-based outcomes in promotion of holistic health. We will tailor a program just for you! The new patient assessment phase begins with questionnaires, a new patient evaluation with one of the Doctors, and non-invasive testing which will help us get to know you and your needs. At that time, any of our following cutting-edge assessments may be used to analyze your condition. We are a caring, dynamic practice led by M.D.’s who specialize in the very best of preventive, integrative, holistic healthcare. We believe that the body’s systems need to exist in a state of balance with one another and with the surrounding natural world in order to achieve optimal wellness. entitled GROCERY -- THE BUYING AND SELLING OF FOOD IN AMERICA. Hippocrates said "Let food by thy medicine!" Heinen's Chief Medical Officer, Todd Pesek, M.D. describes the supermarket of the future as a blend of food supply, farm, conscious consumerism and health care. So notes Michael Ruhlman in his recently released book, GROCERY -- THE BUYING AND SELLING OF FOOD IN AMERICA. Originally from Cleveland, Ruhlman has made his mark on the food scene and the best seller list as the author of critically acclaimed books, collaborator on several bestselling cookbooks and a food writer for the New York Times and leading food magazines. He is also a James Beard Award winner. 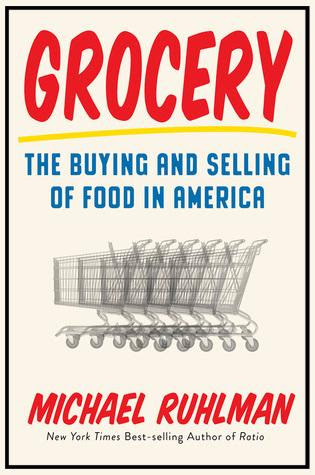 In this latest book, Ruhlman explores the grocery store business. Inspired by his grocery store-loving father and drawing from his own childhood grocery store experiences, Ruhlman looks at the grocery store business through the lens of Cleveland's own Heinen's chain of stores founded in 1933 by Joseph Heinen and operated today by his grandsons, twin brothers Jeff and Tom. The grocery business has changed much from grandfather's time to grandsons' time. It is changing now and will change more in the years to come. This is the story Ruhlman tells. Dr. Todd Pesek, M.D. is a founder and practitioner at VitalHealth Partners, an innovative, preventive, integrative, holistic healthcare practice serving northeastern Ohio since 2008. In 2010, Heinen's leveraged Dr. Todd to also be their health expert and eventually chief medical officer. As Ruhlman points out, perhaps the first chief medical officer of any grocery store anywhere. This says a lot about Dr. Todd and it says a lot about Heinen's. The grocery store, as an extension of the farm, is the doctor's office of the future.So quotes Ruhlman of Dr. Todd as Dr. Todd describes the vision shared by himself and the executive leadership at Heinen's. "You have to farm it, get it from the farm to the grocery store, and from the grocery store to the consumer's kitchen, and teach them how to do that (eat healthfully) and why it's important. We're doing that at the grocery store." Interested in knowing more? You've got to read the book! It's available through VitalHealth Partners, your local bookstore, online and your local library. 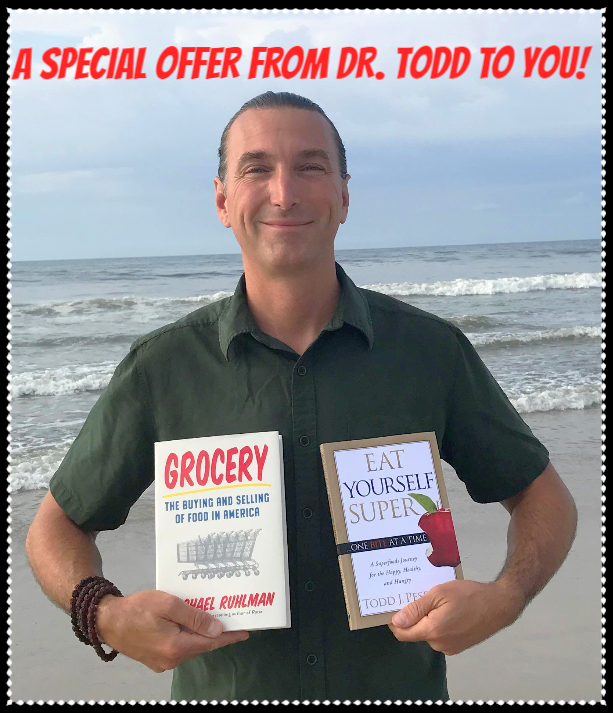 SPECIAL PRICING THROUGH VITALHEALTH PARTNERS! and pay only a $25.00 package price for both books! Join Heinen’s Chief Medical Officer, Dr. Todd Pesek, M.D., and Heinen’s Wellness Consultants, Shilah and Christine for a plant based eating grocery store tour and cooking demo featuring a few simple ingredients from our tour. They’ll demonstrate that there is definitely such a thing as preparing simple, economical, nutritious and delicious plant based meals that the whole family will love! Please join us from 6:00-7:30 p.m. on the dates and locations listed below for a taste of how delicious and simple it is for the whole family to eat healthfully! Free tastings and a raffle for a wellness basket included. Is chronic pain slowing you down? We can help! Prolozone Therapy is a non-surgical ligament and joint therapy that may offer relief for many kinds of chronic pain. Using oxygen, the therapy can induce proliferation, regeneration and rebuilding of ligament and cartilage tissue in areas where they have become weak due to injury, excessive use or surgery. In Prolozone Therapy, oxygen is injected resulting in cellular repair that strengthens and stabilizes the area decreasing the cause of pain. With Prolozone Therapy, there is a very good chance of relief of symptoms, even in cases of chronic pain that has been present for years. VitalHealth Partners is now scheduling appointments for Prolozone Therapy. Prolozone is open to current patients only. All others must first become a patient of VitalHealth Partners in order to be able to receive Prolozone Therapy through our office. Please call us at 440-571-0006 to schedule your Prolozone Therapy or to speak with a staff member in further detail about the benefits of this service.